Pre-Bangkok Trip: Top 5 Website To Read About Bangkok – In 24 hours, I will be flying to Bangkok, Thailand, the land of smile for a 5 days 4 nights short trip. Although I have been there before 4 years ago, but I didn’t really recall much about it and so I am doing a research again. I found out Bangkok is mainly about shopping, eat, shopping, eat, see, and experience the Buddhist temple. More attractions located out of Bangkok city which I don’t think we have time for it. 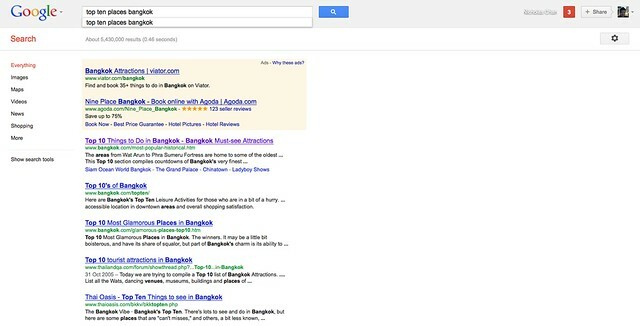 Anyway, here are my top 5 websites that I am reading and researching about Bangkok travel. 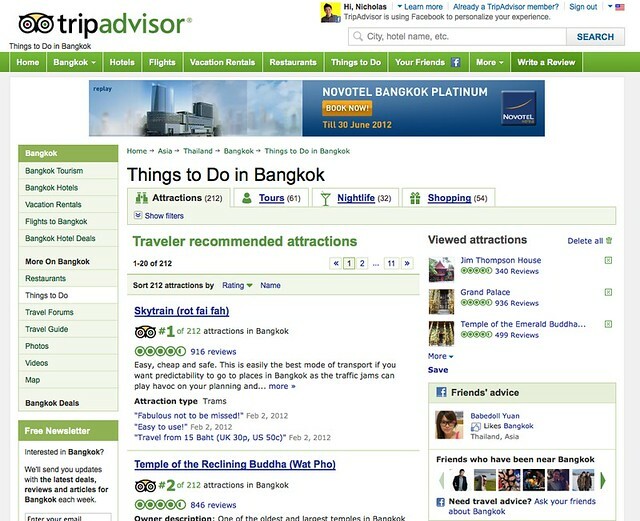 Trip Advisor, my favourite and must-visit website everytime I go travel. I like it because I can read a lot from the reviews and know which attraction is worth to go and not. 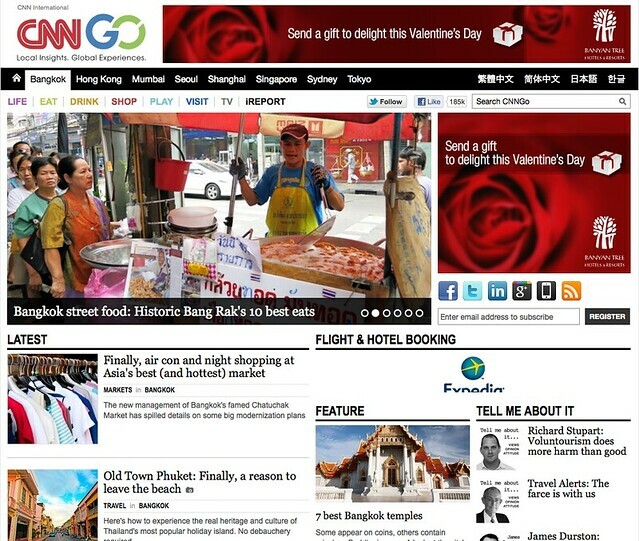 CNNGo, more in-depth recommendation of local attractions, lifestyle and food. It’s more on Asia country. 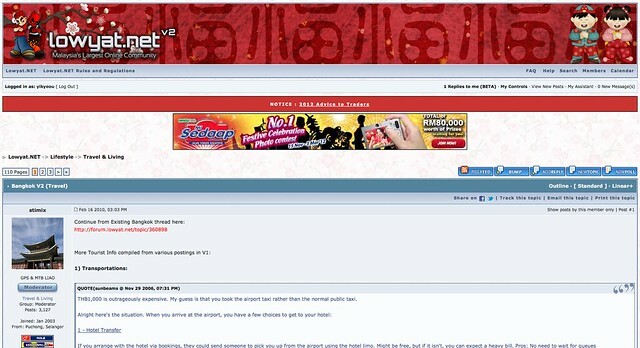 Lowyat.NET Travel & Living, a local Malaysian forum on discussing travel destination world wide. Can learn more about their travel experience and personal guide. 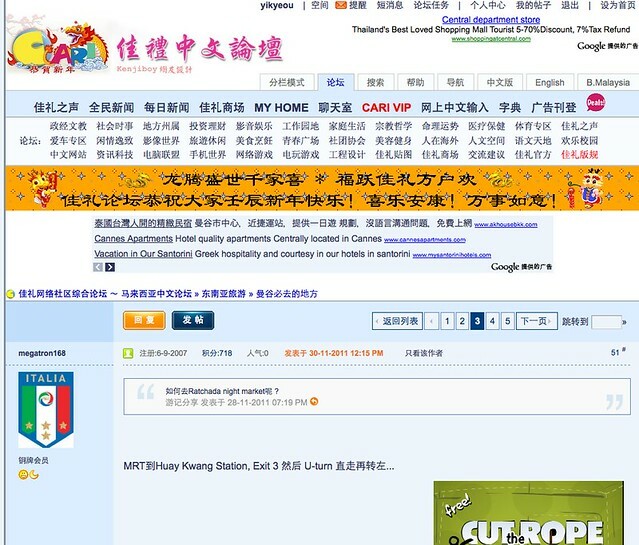 Chinese Cari Travel Forum, another forum but this one is in Chinese. Lastly, Google! HAHAHA. But then my favourite is still Lowyat.NET and Trip Advisor.